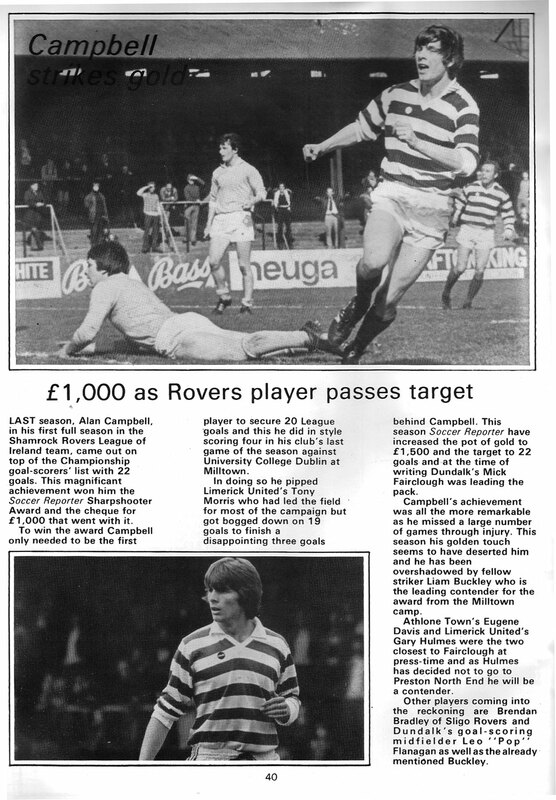 An article about Shamrock Rovers and the Leagues top scorer Alan Campbell from the Irish Soccer Reporter Annual 1981. With 22 goals in the 1979-80 season, He won The ‘Soccer Reporter Sharpshooter award’ of a then fairly hefty £1,000. In 1984 he moved to Spain to play for Racing de Santander before moving on a few years later to another Spanish club CD Logroñés. He then went to Berchem in Belgium before finishing his career in Scotland. He also won 3 Irish caps, a brilliant footballer. 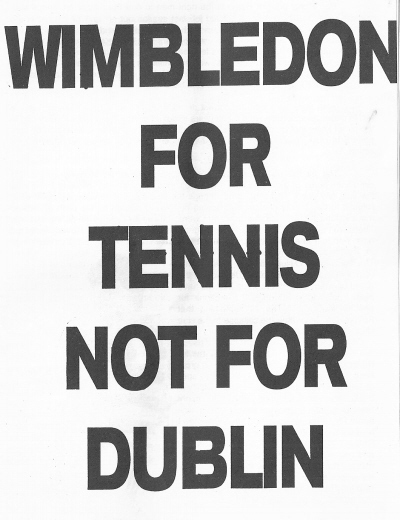 “Wimbledon For Tennis Not For Dublin” Found this in an old Rovers fanzine relating to the proposed move of Wimbledon to Dublin to form the Dublin Dons in the mid 90s. I’ve previously posted a flyer for a Resist the Dublin Dons meeting from National League United. 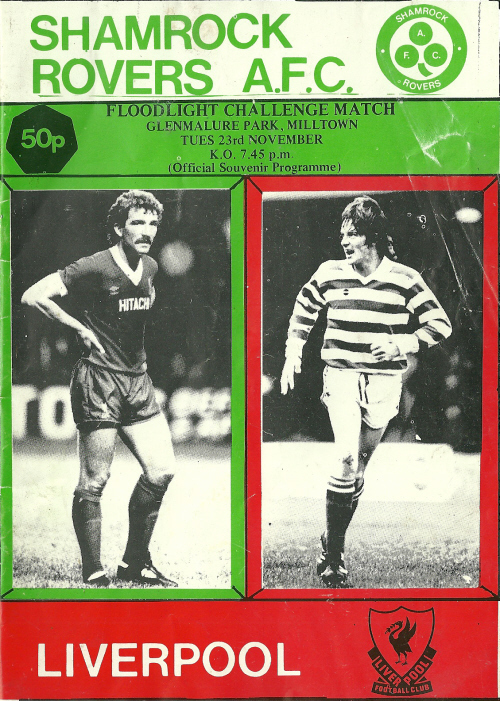 Another piece of old Rovers stuff…The Programme for the 1982 Friendly between Shamrock Rovers and Liverpool in Milltown that ended one all. 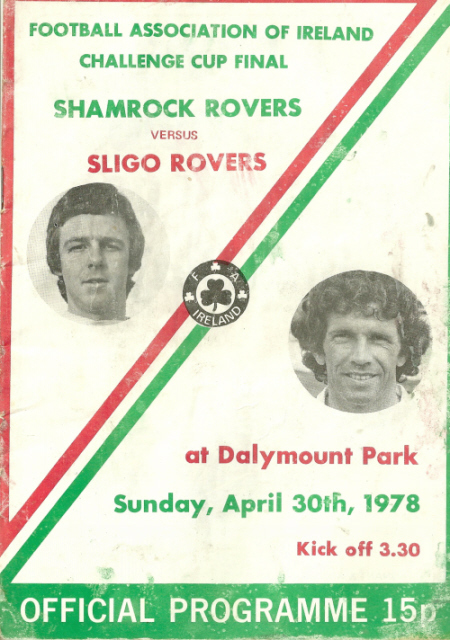 Another deviation from politics to Shamrock Rovers and The programme (minus the ads) for the 1978 FAI Cup Final which was between Shamrock Rovers and Sligo Rovers. Shamrock Rovers ran out one nil winners from a Ray Tracey penalty. There’s a few nice bits in this, it mentions Eamon Dunphy refusing the offer of the managers job at Milwall , Some stuff on the Rovers player Manager John Giles, the fact that the O’Leary brothers Pierce of Rovers and David of Arsenal were both playing in cup finals that year. From a Sligo point of view many of those in the line up were members of the team that won the League in 1977. 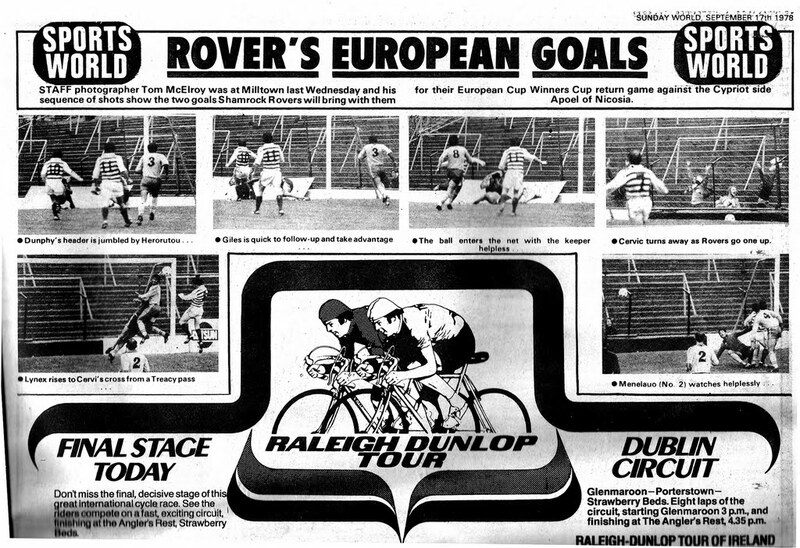 From the Sunday World September 17th 1978, “Rovers European Goals” pics from Shamrock Rovers 2 nil win over Apoel Nicosia in the Cup Winners Cup. 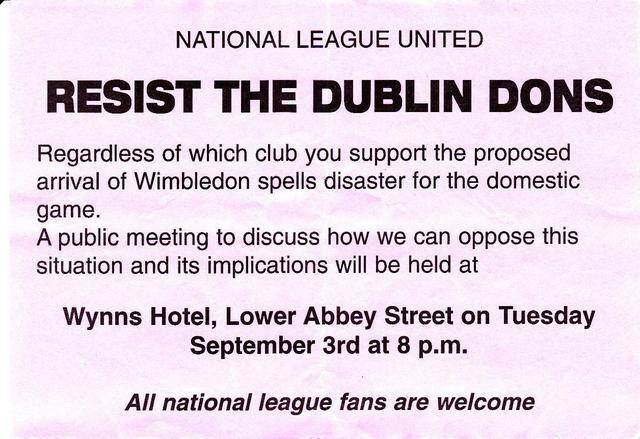 A flyer for a meeting of ‘National League United’ against the proposed move of Wimbledon FC to Dublin to become the Dublin Dons. The move was first proposed in 1996 and the idea of Dublin being home to a Premier League Soccer team appealed to many. Amongst those enthusiastic about the move were Eamon Dunphy, Paul McGuinness and Owen O’Callaghan. A stadium in Neilstown was to be built and Shelbourne had agreed to let them play in Tolka Park whilst the ground was being built. Many thanks to Fergus Desmond of The Shamrock Rovers Heritage Trust for the use of the image.